Nuestros cuerpos, nuestras vidas le da continuidad a la tradicion de Our Bodies, Ourselves al proveerles a las mujeres información acerca de la salud en una manera que reconoce sus historias personales, repletas con sus luchas y sus fortalezas. Nuestros cuerpos, nuestras vidas anade el elemento esencial de la imagen de relaciones basadas en la mutualidad que nos sostienen a nosotras y a nuestras vidas. 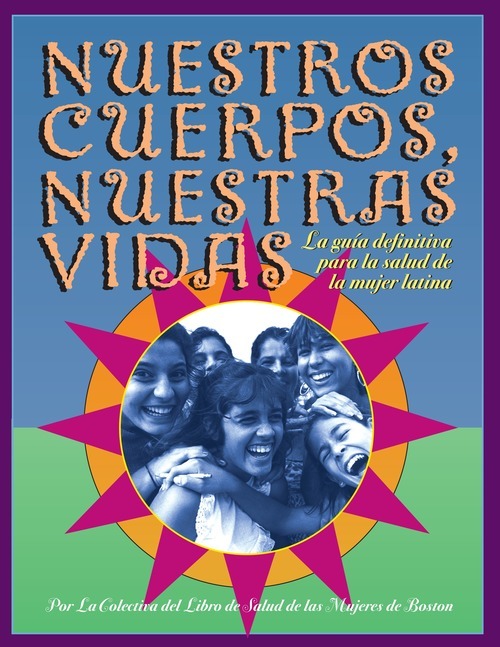 El libro afirma las conexiones que las mujeres con raiz Latino Americanas o Caribenas, que residen en los EEUU, comparten con sus hermanas tanto en el norte y como en el sur, y ofrece una visión personal y política inspiradora para lograr cambios en nuestras vidas. Latinas en los EEUU, que aun mantienen fuertes lazos con sus paises de origen tanto como con las comunidades multi-culturales en los EEUU, encontraran en las historias y proyectos de las mujeres en America Latina y el Caribe fuentes de inspiracion y acompanamiento afirmativo en su lucha por hacer lo mejor de la vida entre dos mundos. Books That Shook the World: A November Promotion in Partnership with Indie Bookstores! In the age of online retailers and large corporate bookstores, independent booksellers can find themselves struggling to keep up. That’s why Seven Stories Press is partnering with indie bookstores for a series of new promotions to encourage readers to buy our books in ways that benefit both booksellers and publishers. The collaboration began in August, with Seven Stories offering indie bookstores a unique discount on a collection of seven themed titles. The first two collections were “For Human Rights, Against War” and “Women in Translation.” The same collections were also featured on the Seven Stories website. To go with the featured collections, Seven Stories is holding a book display contest, in which indie booksellers compete to construct the best display showcasing the featured titles. Each winner is selected by the New Atlantic Independent Booksellers Association (NAIBA) and awarded $300. The wonderful winner from our first display, Curious Iguana in Frederick, MD, is featured in the photo above. This initiative sprang from the question of how independent publishers can leverage their web presence in a way that also benefits independent booksellers. Eileen Dengler, the executive director of NAIBA, and Todd Dickinson, NAIBA’s president and the co-owner of his own indie bookstore, both believe that Seven Stories’s promotional indie partnership is a crucial first step to addressing this question. Dan Simon, the founder of Seven Stories Press, said the idea for the promotion and contest materialized through conversations with Dengler and Dickinson about ways that publishers can support indies through their approaches to online sales. Dickinson said that of all the publishers NAIBA spoke with about possible partnership, Seven Stories “came back the strongest” and “were the most interested in developing some sort of pilot program” to support indies. Simon acknowledges that the promotional program may adapt over time, but he, Dickinson, and Dengler are confident that the collaboration will have a positive impact on indie booksellers. From November 15th to November 22nd, seven “Books that Shook the World” will be featured on the Seven Stories website with a special offer: buy three of these books, and receive a fourth free. Just email sevenstories@sevenstories.com with your first and last name, and the book you would like sent for free. We'll verify that you bought three books already, and then get your fourth one in the mail! This collection includes The Hite Report, Operation Massacre, Profit Over People, Z, The Man with the Golden Arm, Human Rights Watch’s World Report 2018, and Nuestros Cuerpos, Nuestras Vidas. Whether conducting in-depth research on little-explored topics, chronicling individuals’ journeys to expose injustices, or turning a spotlight on the issues facing overlooked communities, these books are united by a shared dedication to exposing important truths about the world—and they’re not afraid to shake up the status quo in the process. Any book purchased through the Seven Stories website comes with a free e-book version, and anyone purchasing one of the titles from an independent bookseller can also get a free e-book by emailing a photo of their receipt to sevenstories@sevenstories.com. For booksellers competing in the November book display contest, submit a picture of the display to NAIBAeileen@gmail.com by 12/3/2018. This promotion is a great opportunity to discover your next favorite book, and to support the many indie booksellers committed to supplying us all with great works of literature. The Boston Women’s Health Collective (now known as Our Bodies, Our Selves) is a nonprofit organization dedicated to providing education of the subject of women’s health.